Remember Mirrodin? 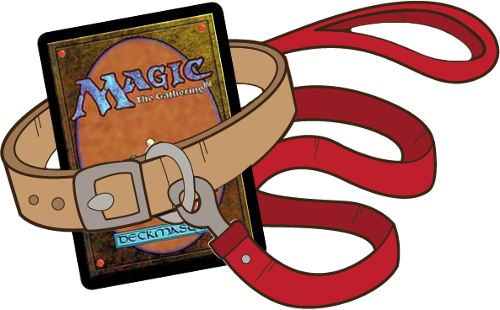 Remember how boring that format was because of a non-interactive aggro deck that was just too fast and capable of attacking on a vector you weren’t, and there were inadequate answers to protect players who didn’t want to play that way? There are a bunch of great cards from Scars of Mirrodin. While a lot of space in this set was dedicated to supporting infect cards, there are still things that fit in alongside other themes you might want to explore. There are some aristocrat faves – Moriok Replica, Necrotic Ooze, and Nim Deathmantle are all great cards to keep around, and the Deathmantle is one of those rare artifacts that lets you recycle creatures without being in black. There are also some pretty decent closers – Carnifex Demon, Darksteel Juggernaut and Argent Sphinx all fit in pretty solidly in control decks of their particular type. Heck, even the dual land cycle this time around was pretty good, because thanks to mythic rares eating larger quantities of the value in a box, these rares sold for less than a buck each. And of course, Proliferate is fantastic for a lot of different strategies and cards (including Planeswalkers! ), so Thrummingbird, Throne of Geth and Contagion Clasp are all worth bearing in mind. Also, Grafted Exoskeleton finds its way into a lot of commander decks where your commander is hard to block but doesn’t kill fast. 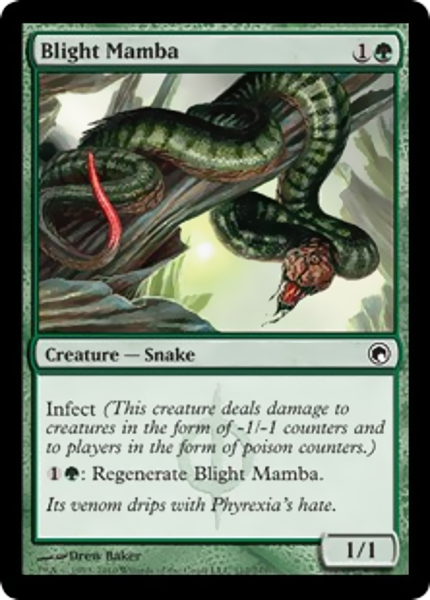 Blight Mamba differs from your conventional Infect creature because if you don’t have any other infect cards in your deck it’s still going to do its job. It blocks and regenerates and blocks and regenerates, slowly melting your opponents’ best creatures, and that discourages them from attacking in a way ‘just’ blocking doesn’t. Normally when you have a cheap regenerator that walls a big creature, it isn’t actually a disincentive to attack, just a disincentive to attack alone. Gore Vassal is named after Gore Vidal. Every block gets you a wrath effect, more or less. Some are better than others. This needs to kill 3 things to compare favourably to Desolation Giant (which you put up with when you have to), but if you wipe out a swarm or the like it’s a lot better. I’ve come to favour Descend Upon The Sinful (spoilers I guess) lately, but this is a really solid tool in the box. What’s more, the set itself is kind of… rubbish aside? There’s a number of cycles in here that are meant to be a bit exciting, and the set tried to do a Judgement-style ‘darkness’ to everything, but in the process gave everyone access to tools normally associated with black’s colour pie only. In the oddball gems to remember, Phyrexian Ingester is a blue removal spell that eats a big threat and leaves you with a truly ludicrous removal spell of your own. All it has to eat is a 1/1 and you’re ahead of a Dark Hatchling. Anyway, utility is royal, and Volt Charge is extremely good utility. 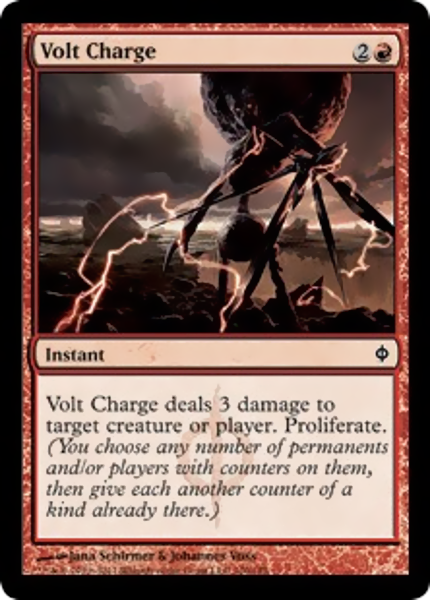 You will usually kill a creature with a Volt Charge and in the process you can either wreck combat math or augment an existing artifact or creature or planeswalker in other ways. Getting a planeswalker one step towards Ultimate off-turn can be a great surprise.